Dan Sebranek is a renowned singer, songwriter and musician who started his musical career at the age of 14 with musical roots in bluegrass and rock and roll. He has shared the stage with Johnsmith, Michael Martin Murphey, Hans Mayer, Bill Miller, John Prine, Perry Jordan (Heartsfield) along with Pure Prairie League. In Dan’s early days as a troubadour he performed primarily with the duo, Runaway. Currently Dan is performing solo acoustic music around the world. He performs each year in Ireland bringing the gifts of music and song across the sea. He is inspired by Dan Fogelberg, James Taylor and Bryan Sutton and has been met with positive responses from audiences across the country who enjoy Dan’s musical versatility. 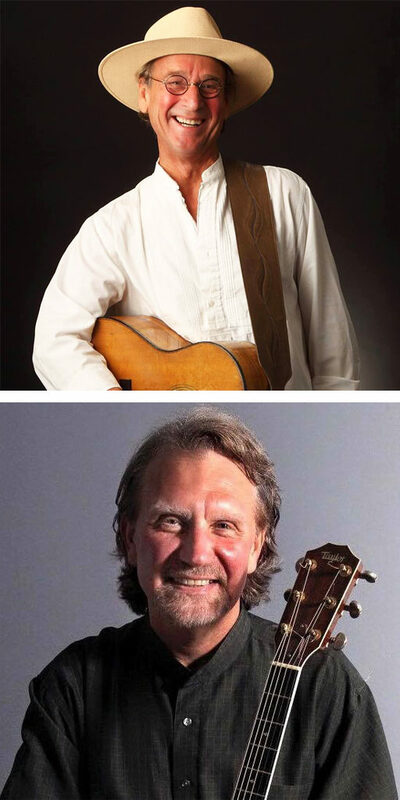 Dan continues to tour as a solo performer, in musical duo’s and in the String Ties Bluegrass Band. He enjoys playing festivals, house concerts and clubs all over North America. Dan won the Telluride Bluegrass Festival award with his band, Northern Hospitality. He performs at the Great River Folk Festival in La Crosse each year and, along with his family, helped pioneer the popular Larryfest Bluegrass Festival in the Kickapoo Valley. Dan has five successful recordings including previous works with Johnsmith.